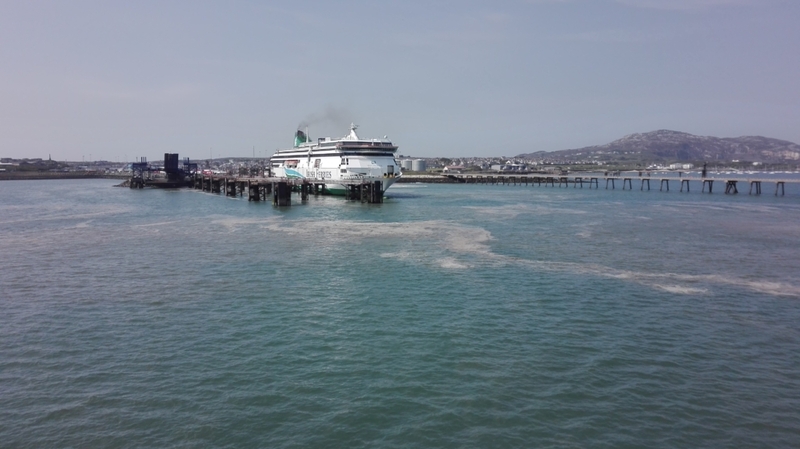 After an early morning start we arrived into Holyhead, Wales. We had a courtesy call to Llinos Medi, Leader of the Isle of Anglesey County Council, who was joined by Council colleagues. Inevitable Brexit and the impact it would have on the Port was a topic of concern. We were pleased to hear about the plans for the development of the area anti-poverty strategy. We exchanged on the importance of welfare and social assistance schemes. Then it was time to move on. In the brilliant sunshine the scenic northern coast of Wales looked Mediterranean. We arrived in the early evening to a tremendous welcome in the Leicester Community Services Centre. 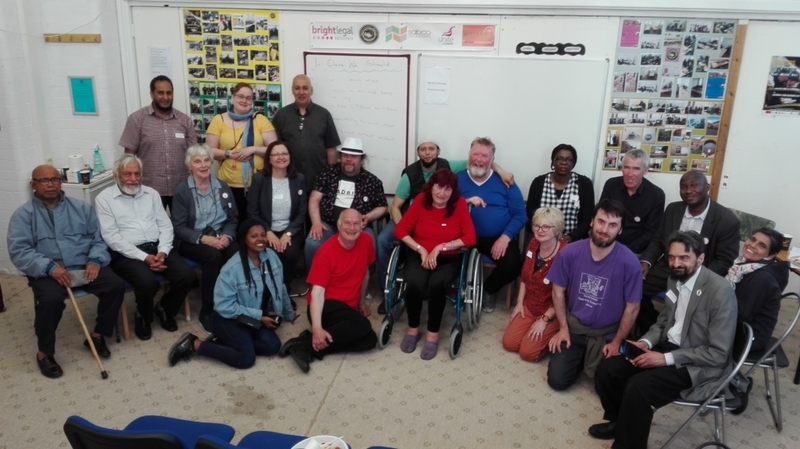 We were welcomed by the centre Manager Mr Khan and had a chance to hear about the work of the centre which creates collaboration with partner organisations to deliver social and information services, education and sporting activities and provides day centre services. 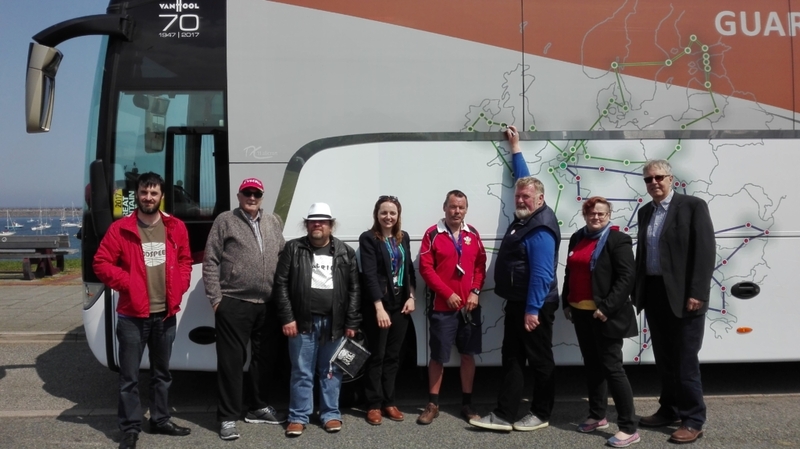 Mr Haider, Leicester Trades Council also welcomed the #eminbus. The Red Leicester Choir added to the welcome, singing six ‘protest and songs of struggle for justice. One of the active members of the centre, Hsssan also welcomed us with a recitation from the Quran. 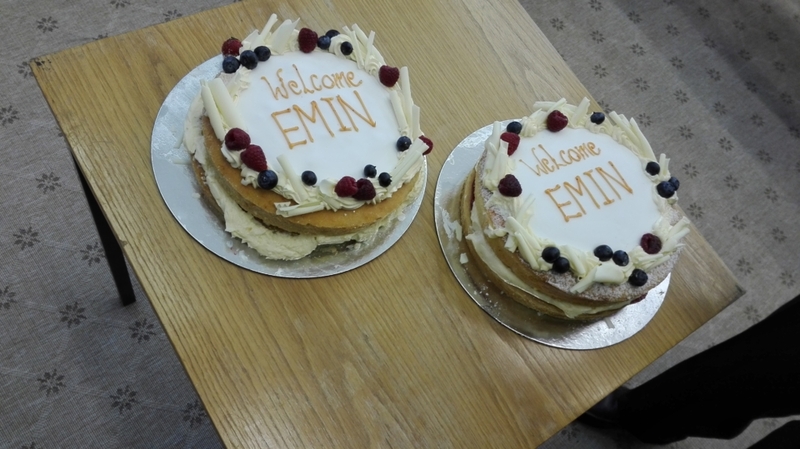 Finally, despite many of the hosts practicing fasting for Ramadan, they served us a delicious byriani meal ending with EMIN cakes to celebrate the arrival of the bus in Leicester. 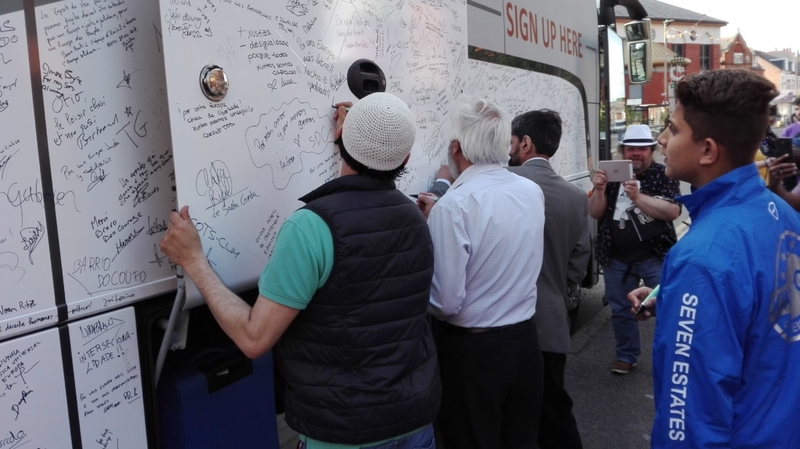 In between there was time to tell the story of the bus and the messages behind the bus and to have many people from the area sign the bus. 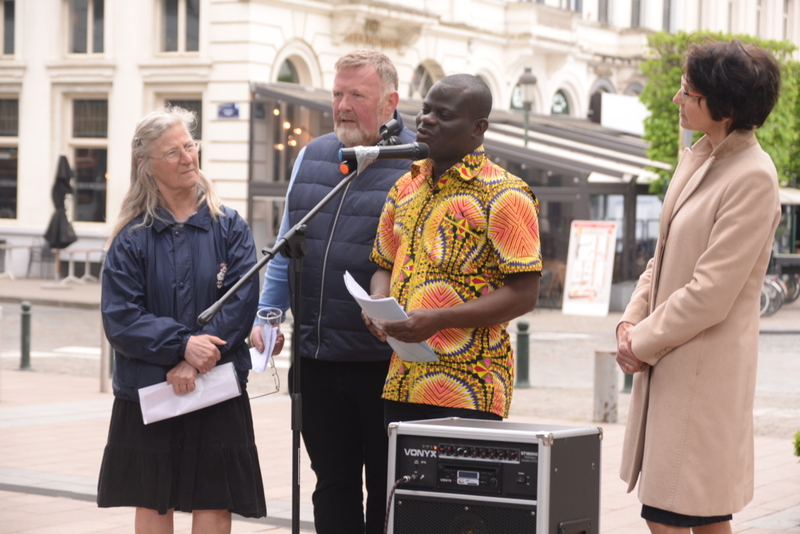 Today our good friend and volunteer Alias Onyadon went back to Belgium but fortunately he will re-join the bus in Poland. Thanks for all the work Alias.